My tip for Betsson: Automatically go to mobile.betsson.com when accessing betsson.com using an iPad! 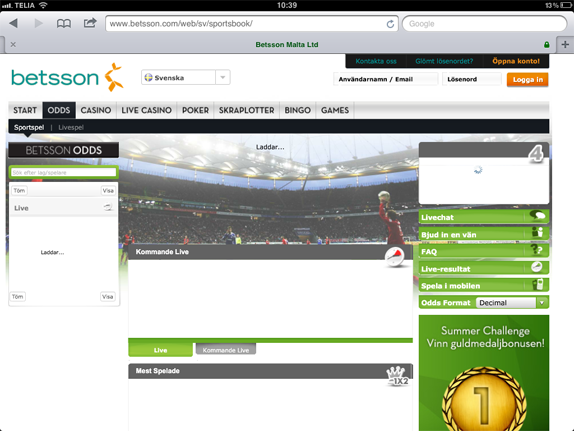 When you go to betsson.com to place a bet using an iPad come to their regular site. On the site it is impossible to place a bet using an iPad, their Sportsbook page never finish loading (see image 1). 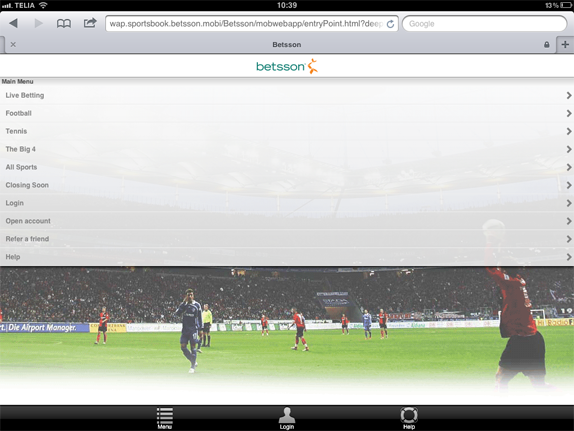 So my quick advice to Betsson is to transfer iPad players to their mobile site, mobile.betsson.com. At least they can place a bet there!